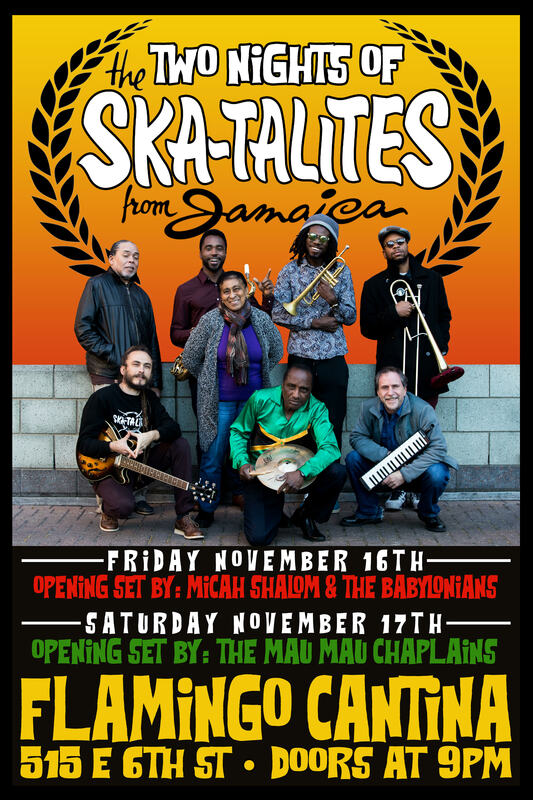 The Skatalites are Jamaica’s premier ska band since 1964 who backed artists like Bob Marley, Toots and The Maytals, Alton Ellis, Ken Boothe and most of the singers of the day. Their infectious brand of bluesy, jazzy ska spread like wildfire around the island and spawned the entire genres of ska, rocksteady, reggae, dub, two-tone, and 3rd wave ska. Doors 9 p.m., ages 18 and up are welcome. Online ticket sales end at 6 p.m. day of show. Tickets will be available at the door for $25 cash only. This ticket purchase is good only for Friday, November 16, 2018. Come hungry, Winston’s Kitchen will be open!